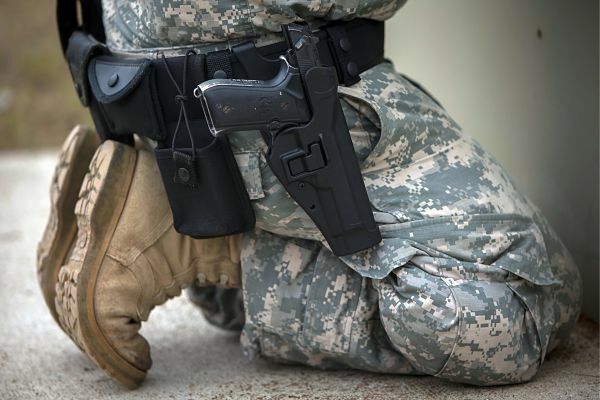 According to a new recently released guidance by the U.S. department of defense, our military personnel will now be able to carry concealed handguns on base. A 26-page Pentagon directive was issued on Nov. 18 and outlines guidance for soldiers to carry their privately owned, concealed firearms on military installations. This move comes following a review of the military rules in the wake of a 2015 shooting that claimed the lives of four Marines and a sailor at recruiting stations in Chattanooga, Tennessee and the 2009 massacre at Ford Hood, Texas in which former Army Major Nidal Hasan killed 13 people and wounded more than 30 others. Prior to this ruling, the policy for our soldiers was that they were only allowed to carry weapons in the performance of their duties if they were one of the few soldiers even allowed to do that on base. Now, Department of Defense personnel “may request permission to carry privately owned firearms on DOD property for personal protection purposes that are not related” to their assignments, the directive noted. Thus leaving it to the base commander to instill the ruling on a case by case basis. Personnel that wish to carry a firearm on base must be 21 years of age or older and have a concealed carry permit that is valid under federal, state or local laws where the DOD facility is located. The application to carry must then be approved by a commander, before the okay to carry is even issued. Those that are then authorized to carry their privately owned firearms would also be “personally liable for the injuries, death, and property damage proximately caused by negligence in connection with the possession or use of privately owned firearms that are not within the scope of their federal employment.” This pretty much would go without saying, though, as the same is true for civilians that carry. This ruling also applies to some active soldiers that are working outside of military bases, such as recruiters, but it does not apply to troops that are in active war zones or members of the National Guard working under the directive of state governors. It also prohibits DOD personnel assigned to recruiting duties from being armed when visiting high schools that have law enforcement or security personnel on site. In the past, politicians and military officials have opposed efforts to arm military personnel. It does appear now, that we may finally have the chance for those that defend all of us, to defend themselves at home.